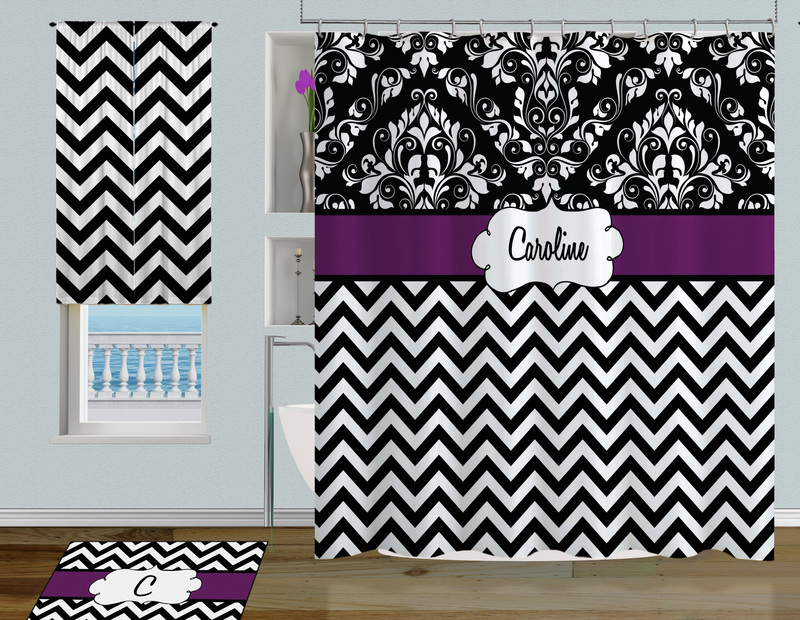 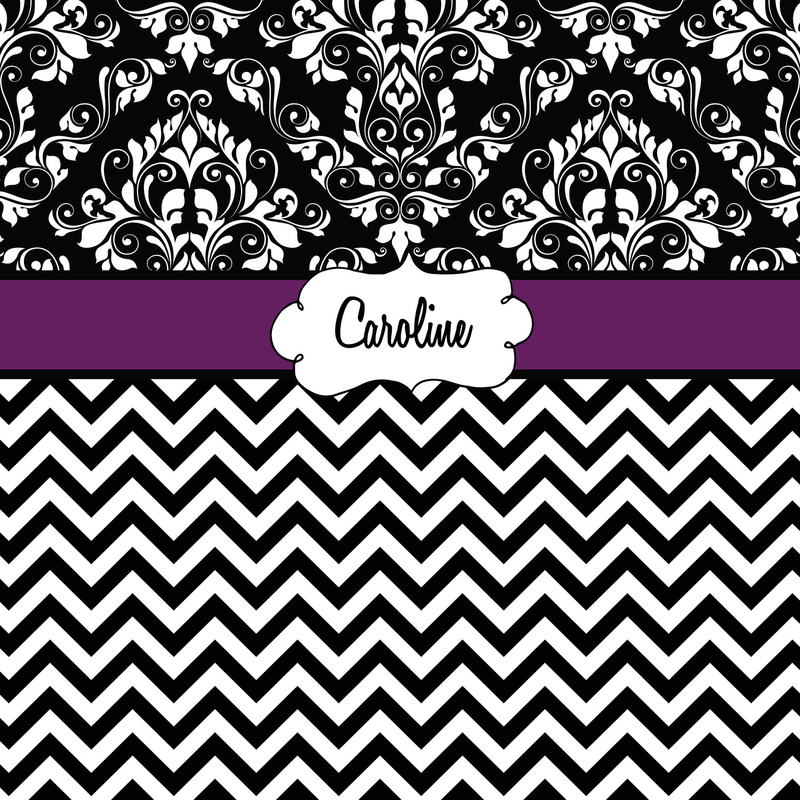 Unique Personalized Black and White Shower Curtain, with Damask Print. 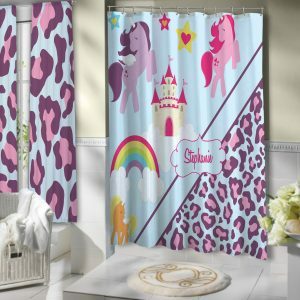 Every Girl loves her Purple and even though this Primarily Black and White Damask Shower curtain has just a border of color don’t let it’s little presence fool you. 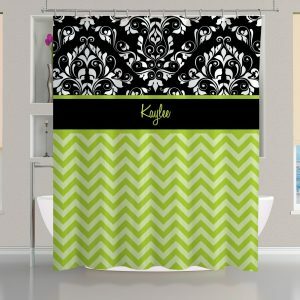 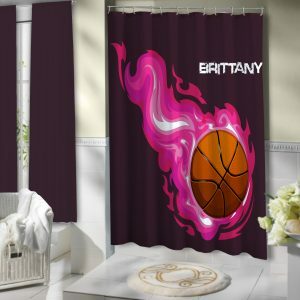 Great way to add a personalized touch for shared or single bathrooms, can put full name or Last name initial.